The Alpha Gamma Delta Purpose puts philanthropic service at the forefront of every sister's mission as a sister. Our philanthropy is the Alpha Gamma Delta Foundation, which focuses on three main umbrellas; education, philanthropic and leadership. The sisters of Zeta Delta strive to raise money through various different ways of service for the foundation. 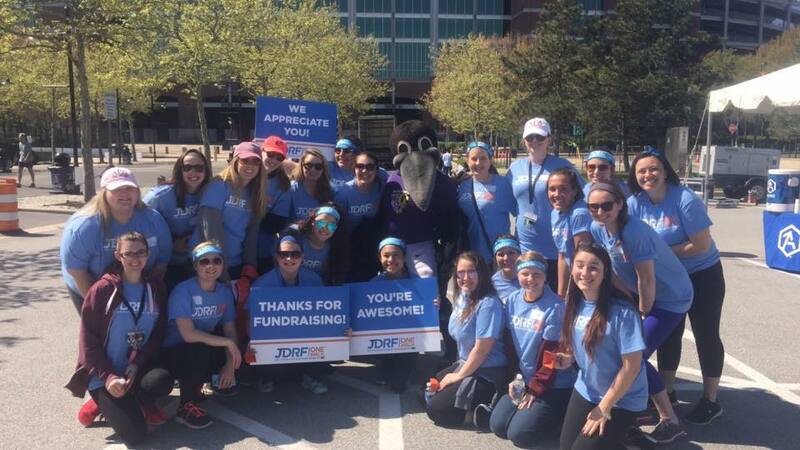 In addition to supporting our foundation, we work closely with other greek organizations on Towson's campus to raise awareness and gather support for other causes. Some of our most successful events we hold benefiting the Alpha Gamma Delta Foundation are monthly bagel sales and Alpha Gam Pasta Slam. We held our first Pasta Slam in the Spring of 2016 and raised over 2,000 in ticket sales alone. We continue to work towards our goal of turning Type One Diabetes into Type None Diabetes. We work very close with the American Diabetes Association and Juvenile Diabetes Research Foundation by attending and working various events and fundraisers including the JDRF Walk and the JDRF Annual Gala.